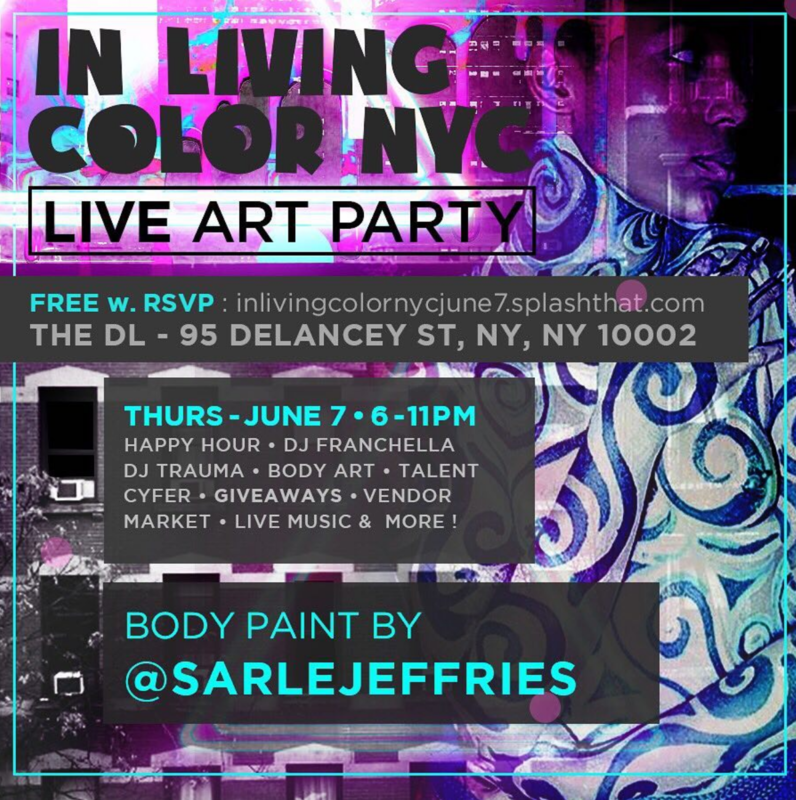 NYC's #1 Live Art Party! 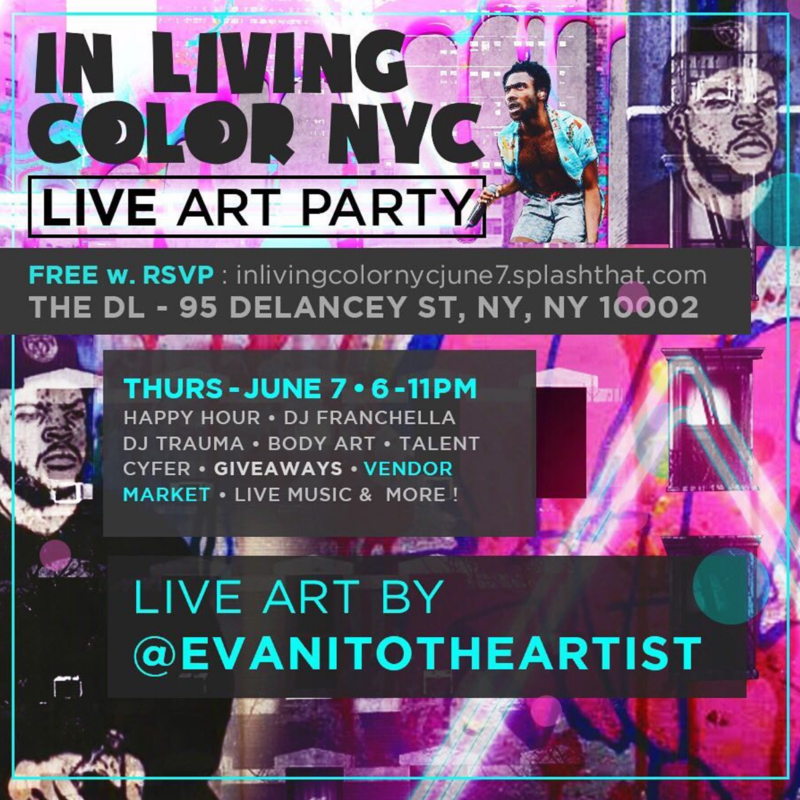 InLivingColorNYC is back at the DL Rooftop Thursday June 7th 2018 6-11pm. 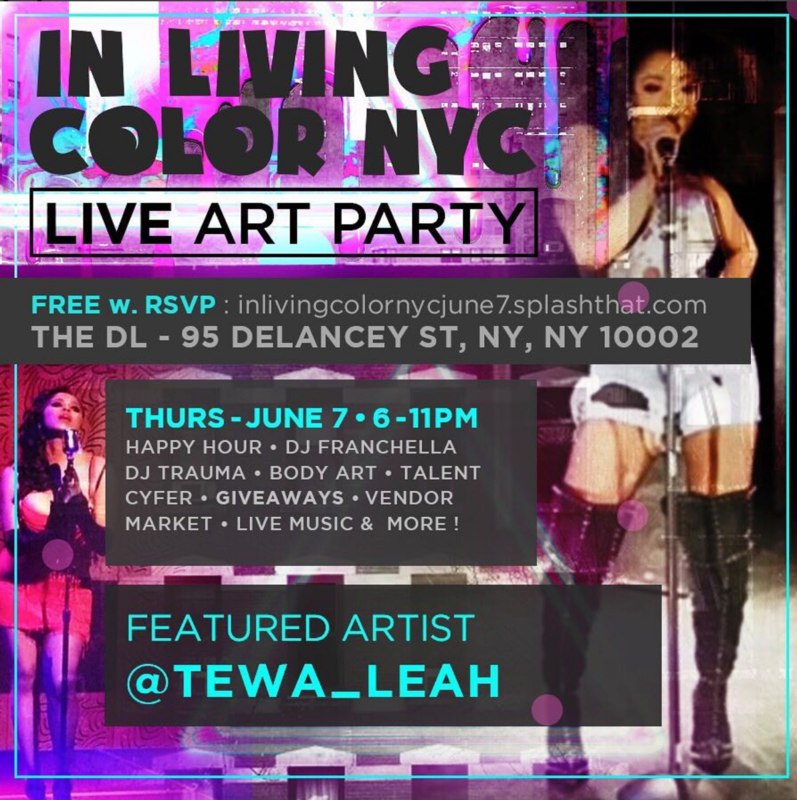 New York! 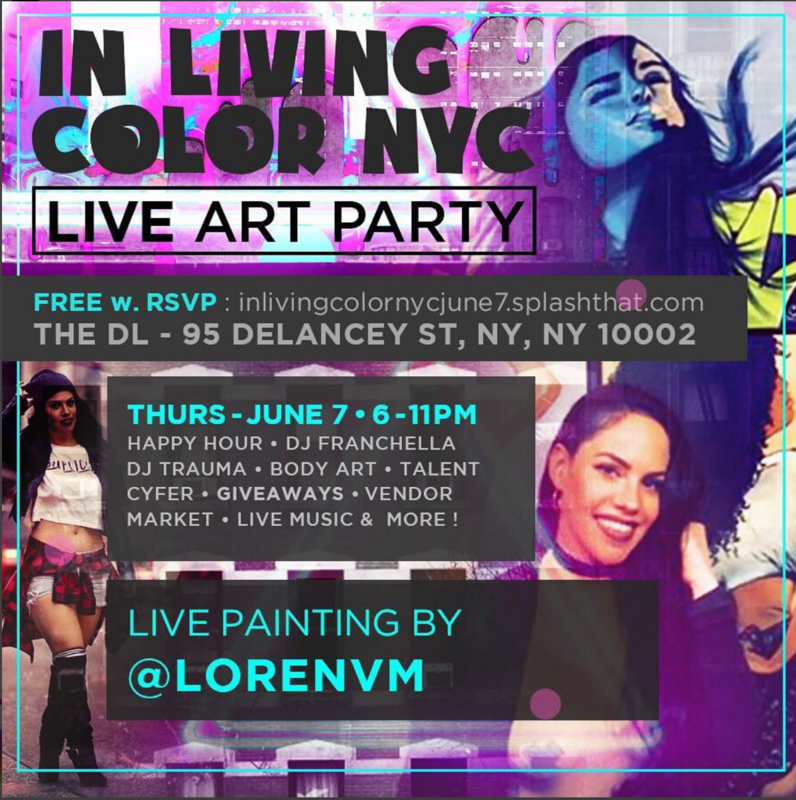 Meet us on the lower east side as we return to the DL with a host of creatives & artists that are bound to get your weekend started right! DJ Trauma x DJ Franchella & DJ Roy! The 1st Floor of the DL will be serving their regular dinner menu. 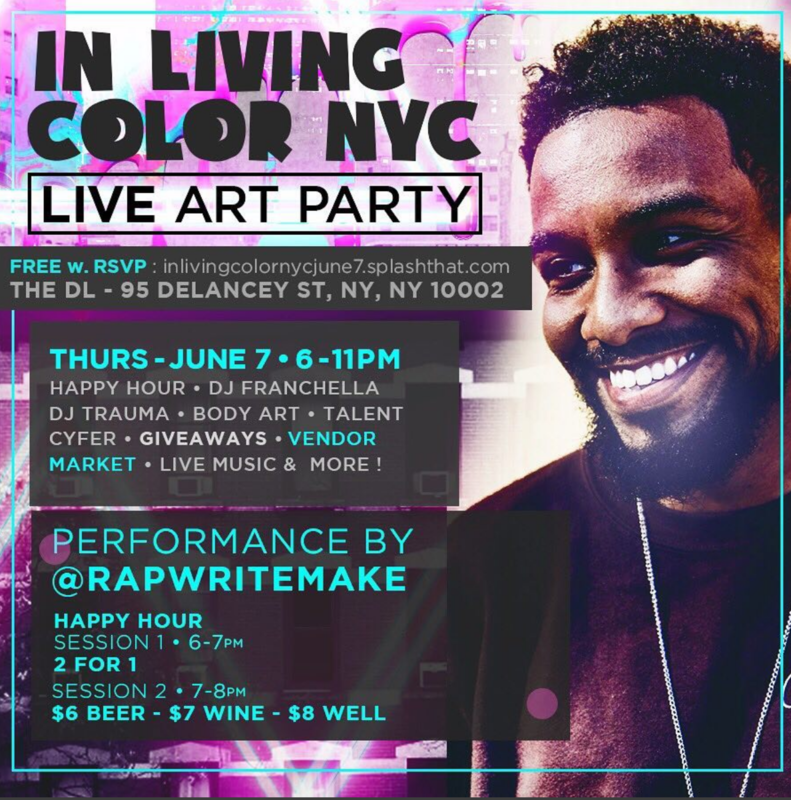 See Velous hit "Flipmode" (Fabolous & Chris Brown) video below.